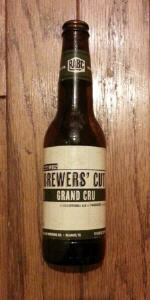 I bought this expecting it be like The Rodenbach Grand Cru, but I was wrong about that. There is really no sour note to this beer, and it wasn’t bad or good. It was just something to drink.